The quote “If Mama ain’t happy, ain’t nobody happy!” resonates far and wide. When Matriarchs experience wellness, everyone benefits! What a privilege and honor to have spent so many years witnessing the unfolding of my patients’ lives: stories of wellness and illness, full hearts and heartbreak, crushing diagnoses and decline, as well as huge strides in health status and recovery. At some point I realized that I was not able to offer the type of care I really wanted to provide within the conventional medicine model where visits-per-day were many but minutes-per-patient were few. I struggled with how to connect with each patient, to really hear her story. Fortunately, I found Functional Medicine (through my own health struggles – see below) and decided to make the leap. The Mission of Matriarch Health and Wellness is to create a healing environment where we can work together on your wellness journey with plenty of time and lots of resources. I want to take a much deeper look at the root causes of illness and dysfunction within a Functional Medicine framework in order to identify lifestyle, food, stress, laboratory, environmental, and epigenetic factors unique to each patient in order to find a path to overcome barriers and attain health goals. My Vision for a fabulous future world is one in which every Matriarch is expected (both by herself and by her tribe) to identify and work towards her unique health goals. Abundant support and resources are so freely accessible that self-care seems akin to air, food, and water. When mama is healthy and happy, everyone benefits! Because a Matriarch’s net of influence is cast far and wide, there is a “Trickle-down Wellness” effect when the health of Matriarchs improves: healthier meals at the dinner table, amazing role modeling for kids and peers, creativity boosts at work, and energy to show up for volunteer opportunities, intimate encounters, community events, or just some quiet time alone. Self-care is not selfish! It’s a model for a better world. A few years ago while at a BBQ, a young girl approached me and confidentially queried, “So… what was your Rose today?” Not sure of what she was asking, I replied, “Huh?” She explained that a Rose was the best part of your day, your highlight or featured memorable moment, so I thought about it and came up with a solid answer. Satisfied, she asked, “Ok, what was your Thorn?” referring to the most difficult or challenging experience of the day. That was easy, always lots of bumps along the way. Then she got a dreamy look on her face as she prepared to really test me. “Ok, this is the best part: what is your Bud?” What am I looking forward to? What lies ahead that is beautiful, exciting, or truly fulfilling? And what are the necessary steps to see it through? This is where the magic lies. As often as possible I try to incorporate these questions, whether it is just in my own mind at the end of the day or at the dinner table with my family. It is an excellent practice of connection, mindfulness, and gratitude. The Matriarch Health & Wellness logo was inspired by our conversation as it reflects all aspects of our journeys: the Roses, the Thorns, and the Buds. Angela Thompson, ARNP, FMCHC, has been helping Matriarchs of all ages since 2002 when she graduated from the University of Pennsylvania and became nationally certified as a Women’s Health Nurse Practitioner. 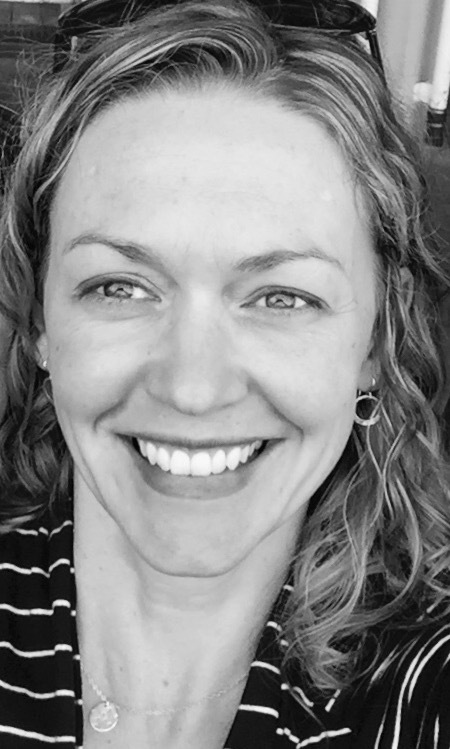 She spent the next 13 years working in her Utah hometown at Planned Parenthood, as a Sexual Assault Nurse Examiner, and as an integral part of a large OB/GYN/Primary Care practice while also embarking upon the Joys of Motherhood. She and her husband, Matt, have two school-aged kids and one fur-kid, a dog named Maggie who sometimes accompanies Angie to work. In 2015, Angie and her family moved to Olympia, Washington, to start a new adventure both personally and professionally. They have thoroughly enjoyed exploring their new home in the Pacific Northwest. Olympia is also where Angie began to further train in Integrative/Functional Medicine while working in a busy Integrative Medicine practice and later became a Functional Medicine Certified Health Coach. 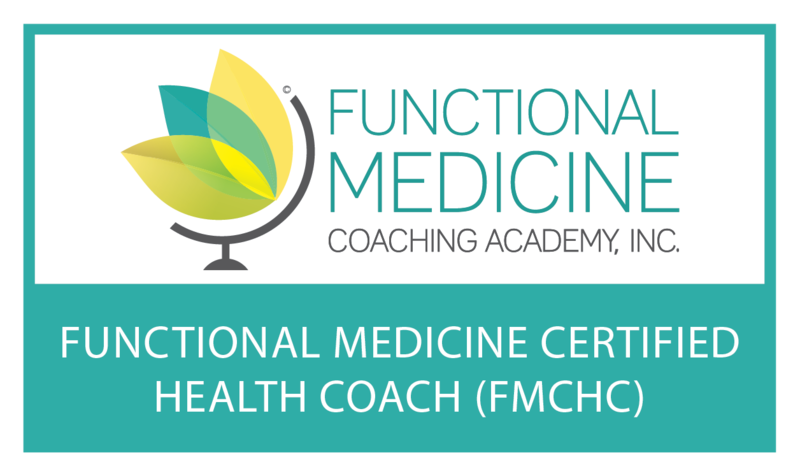 She chose the Functional Medicine Coaching Academy for its focus on Nutrition, Positive Psychology, and Mind-Body Medicine. She is also a member of the Institute for Functional Medicine and has spent countless hours acquiring ongoing training in this rapidly expanding specialty. Angie’s undergraduate degree is in Microbiology/Biology so she has a special interest in all things Microbiome, especially when it comes to gut health and understanding wellness from the inside out. Then, get out of the way to allow our amazing mind/body/spirit to harness our body’s innate ability to heal. My own medical saga started at age 15 when I broke my neck when I hit my head on the bottom of a swimming pool. This was my first surgery and first hospitalization but not the beginning of my “Timeline.” Looking back further in my history, I had childhood strep throat and pneumonia treated with antibiotics, massive amounts of fluoride exposure, and I grew up in a mountain valley notorious for air pollution that rivals the smog in urban China. My Timeline continued with multiple exposures to toxic mold, Lyme disease, hypothyroidism, a traumatic childbirth followed by recurrent Clostridium difficile intestinal infection acquired at the hospital, another traumatic surgery with complications, blood transfusions, lots of pharmaceuticals, grief and loss, etc., etc. Like most people, I too am a WORK IN PROGRESS and continue to work hard EVERY DAY to make an impact on my current symptoms and long-term health goals. I am doing my best to Walk the Talk and want to share with you some of my favorite tools and tested professional advice. I have benefited tremendously by using Functional Medicine principles to identify the root cause of my symptoms and am committed to applying the same approach with my Matriarch patients. I want to create a space for healing that resembles what I have been looking for all along. The most satisfying part of my job, by far, is when my patients tell me they “haven’t felt this good in years!” I look forward to accompanying each one of you on YOUR journey.